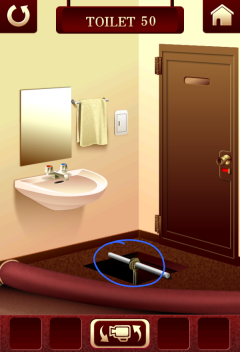 Pick up the pipe in front of the toilet and the rope inside the toilet. 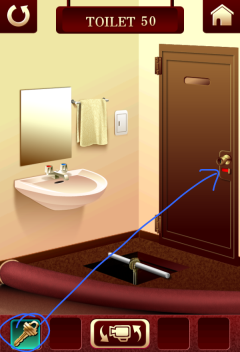 Swipe the carpet in front of the door downwards and it'll reveal a hole. Put the pipe down on the hole and put the rope on it so you can climb down. Pick up the key (turn on the light if you need help seeing it). Climb back up and use the key on the door. 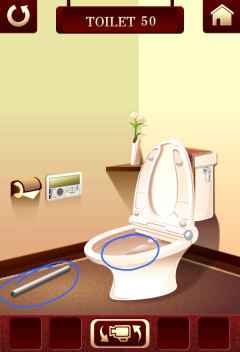 Proceed to the next 100 Toilets level!